10 Years of Blogging, Good Bye! Ten years ago in March 2009 I decided to start a blog. Blogs were just starting to get popular and it was the beginning of a social media revolution. You see I have always loved fashion and dreamt as a young girl to go to fashion school and have a career in fashion one day. Well that dream never happened, mostly because I was the one who gave up on my own dream. Growing up as nerdy, chubby Latina girl in the ghetto of LA, that dream seemed as impossible as going to the moon. No one ever encouraged me, mostly laughed at me, but worst of all I believed all those naysayers. 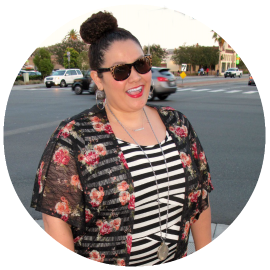 Then one day I discovered blogging, I saw a few other plus size women showing off their style. After a few months of reading those very few plus fashion blogs, I thought hey I can do that too! HA HA wow I must have been feeling confident that day, so I started a blog! Boy I was wrong in thinking I knew what it took to run a blog! I had no idea, no clue and didn't know what I was getting my self into!. It was a slow process, I didn't even show my face on the blog for about 10 months. Mostly for fear of people recognizing me or worst, making fun of me. You see Internet trolls have been around since the beginning of the Internet. Once I gained enough courage and confidence to reveal my self on the blog, it wasn't as bad as I imagined. 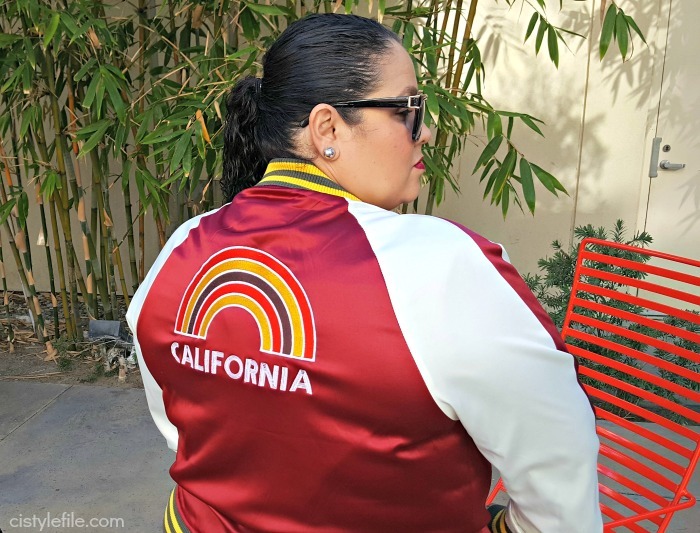 Slowing I became to discover more plus fashion, I even found some local bloggers who looked like me...plus size Latinas who also loved fashion and beauty! Then one day I read on another blog how this one "popular" blogger received free clothes! WHAT! Brands started sending blogger stuff for free, all they had to do was show it off on their blog. Whoa, this was mind blowing to me. I had no idea this was even a possibility when I started blogging. Then the day came when I received my very first email, a brand wanted to send me a dress to review. I was so excited, like a kid on Christmas day! This my friends was a huge deal for me, I had secretly been envious of those other bloggers who were receiving free stuff. It all started with that one dress, then slowing other emails came from other brands. Then the invitation to attend blogger events. WOW I must admit it did make me feel kinda special. LOL I can't lie those blogger event were always really cool, with lots of free food and booze, in some fancy places and best of all, was the swag! Why were these brands just giving us bloggers so much free stuff. It was simply to give them publicity and advertise their products, at a very cheap rate. You see the early days of blogging, was a free for all, it was all so new and exciting. People had discovered they could control the type of content that was shared on the Internet. We the average woman could show the world, how cool, cute and awesome we are, with out anyone telling us how or what to do. No longer did we have to be subjected by Photoshopped images of perfectly airbrushed models, telling us what to wear and how to look. We the bloggers were taking control of that image and the world was loving it. Bloggers from every corner of the world were emerging, every color, every size and every ethnicity. It was actually kinda magical to see it happening and most of all to be a part it. Even in my own little way, I had become part of that fashion world I had always dreamt of as a little girl. New blogs kept popping up so quickly it was hard to keep up. A new niche seemed to appear daily, fashion, food, beauty, travel, mommy, tech reviews....it was crazy and hard to keep up with. Brands and Marketing agencies knew they had a gold mine with bloggers, using us to do their work for practically free (they threw us a bone here and there with free products) and occasionally paid us peanuts. Some bloggers even achieved "celebrity" status, it was insane to see the evolution. No longer did you see models, actors or real celebrities being featured in national name brand campaigns, it was bloggers! I never achieved any kind of status, I was just another blogger, who happened to get in kinda early so was lucky to get a small piece of the action. I truly loved and enjoyed blogging in the early years. It was fun and exciting, I met many awesome people and can say some even became friends. Something happened several years in to blogging, I saw and felt a shift in the blogging world. Everyone wanted a piece of the pie, when bloggers started to get paid, like really get paid in the hundred thousands of dollars, some even reportedly getting millions of dollars, with huge endorsement deals. Some bloggers were getting their own products, clothing lines, makeup lines and even TV shows. It was crazy, and this is where I saw the claws and ugliness of blogging come out. Every blogger in your same niche suddenly became competition, people changed. Some were more ambitious than others, they became cut throat. I was never successful enough in blogging to be any ones competition in my opinion, but I did receive some backlash. All of sudden you started to hear about blogger feuds, and it appeared you had to pick sides. I never got too involved, but guess what I was close enough to get some on me. It seemed like over night, bloggers I had considered "friends" stopped talking to me, a few stopped following me on social media, stopping say hello to me at events and slowly stopped getting invited to events. It took me a while to figure out, but I know what or who caused it. Honestly it didn't surprise me, because I had heard first hand from other bloggers about these so called feuds and how it was getting cut throat. Bloggers bad mouthing other bloggers to brands and PR agencies. I tired to brush it off, but it hurt, it stung and it sucked. I was the one who would talk to as many bloggers, when the "big" bloggers became snobs and ignored others, I was the one who befriended them. I was the one who introduced new bloggers to other bloggers or told them about certain blogger networks to sign up for and get paid opportunities. I never saw other as competition, but I guess that was just me being nice and naive. So basically this long post is to just give you all a little history of why I stopped blogging over a year ago. Blogging was no longer fun for me, it was becoming a chore and became ugly. Too competitive, too cut throat and too elitist for my taste. I wasn't getting paid, like other bloggers, I wasn't actually getting anything out of blogging, not even enjoyment or gratification like I had in the beginning. I decided to take a break and reevaluated my situation. That break was much longer than anticipated and eventually I came to the conclusion to end my blogging journey with Cid Style File. My last post was in November 2017, and honestly I only did it because it paid me a few dollars and it was a quick buck. I was done, no longer did I have the mentality to be a part of the blogging world and play the games involved to succeed. I am 10 years older and some may say wiser, I no longer find my self being happy blogging about fashion. The plus fashion world has changed so much as well and its not a world I can see my self being a part of any more. After a much needed break, I did find my self missing blogging and the wonderful people who were still friendly with me and stayed with me on social media. I found my self changing and evolving in a way, so in early 2018 I made the decision to change my name on social media from Cid Style File to House of Cid. I changed it on Instagram and Facebook, but had not decided what to do with the blog. After a few more months of contemplation, I decided to just say good bye to this blog. I have however started a YouTube channel, called House of Cid, which is something I wanted to do for many years, but was never confident enough to be a YouTuber. I told my self I am too old now (43), not attractive enough and I'm not a millennial so basically saw it as losing battle. But guess what, I am no quitter, and my life isn't over because I am in my 40's...I am sure there's some older people who want to see themselves reflected on YouTube. 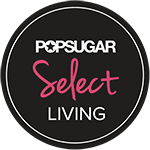 So I am giving it a go, I created a lifestyle channel and hope you come and support me, like you have done here for so many years. Thank you to everyone reading the blog, who left comments, who supported me and who encouraged and motivated me to blog. I met some awesome people, attended fabulous events and most all made some wonderful memories. I am forever grateful to everyone I met through blogging and thankful to all the brands, PR agencies and marketing agencies I was allowed to work with. I truly do feel blessed to have this experience and am beyond grateful. If you want to continue to support me and follow along my new journey please go follow me on Instagram @houseofcid and subscribe to the new YouTube Channel - House of Cid.